This is a guest post by Alexander Bürgin, Jean Monnet Chair and Associate Professor at Izmir University of Economics. It is based on his recent article in the Journal of Common Market Studies. When Jean-Claude Juncker took office as Commission President on November, 1, 2014, he set out to establish a more political and less technocratic Commission, implying a focus on a smaller number of priority projects, and a stronger top-down steering. This was intended to enable the Commission to shed its image as a bureaucracy responsible for over-regulation, and to strengthen its profile in areas where EU governance is potentially more effective than national regulations (European Commission, 2014, p. 2). To facilitate his political leadership inside the Commission, he introduced seven Vice-Presidents, each responsible for the coordination of a team of Commissioners working on a specific priority project. In addition, Juncker further increased the Secretariat General’s (SG) staff numbers and range of competences in the coordination of the services. To strengthen the Commission’s leadership role within the EU system, Juncker assigned to the Vice-Presidents the task of organising the representation of the Commission in their area of responsibility in the EP, Council and national parliaments (European Commission, 2014, p. 5). A special role is foreseen for the newly established post of the First Vice-President, responsible inter alia for the coordination of the inter-institutional work on policy programming and the ‘better regulation agenda’. Among the 37 experienced officials from the Commission, the Council, and the EP whom I interviewed between April 2015 and January 2017, there was a consensus that Juncker’s reforms have contributed to a centralisation of the coordination process in three regards. First, interviewees highlighted the specific filter function of the First Vice-President. It was argued that whereas in the past, the working programme was a rather bottom-up process, making it difficult for Barroso to impose his will, it is now a centralised, top-down process, steered by the First Vice-President. Second, it was also a common view that the introduction of project teams leading Vice-Presidents has promoted coordination at an earlier stage, and thus has improved strategic political decision-making among the Commissioners, providing stronger policy guidance to the services, which are constrained to a more executive role. Finally, interviewees considered the reduced number of Commissioners with a specific portfolio as beneficial for a more centralised coordination. As regards the role of the SG, a majority of interviewees considered that the SG has significantly gained in importance since the end of the Barroso Commission. Interviewees highlighted that due to new units, the SG has become less dependent on the input from the DGs. Furthermore, there was a wide agreement that the increase in coordination meetings between the services, chaired by the SG, has reduced the discretion level of the respective lead DG, which in the past, could neglect aspects raised by other DGs in the early stage of the policy-formulation process, and be assured that, due to time constraints, the initial draft of the lead DG could only be slightly amended in the subsequent inter-service consultation. As concerns the leadership of the Commission within the EU system, there was a consensus among the interviewees that the internal reforms are beneficial for the Commission’s leadership in inter-institutional relations. Three main arguments have been offered. First, interviewees stated that the frequent contacts between the First Vice-President or the Vice-Presidents and the EP confer greater political weight to the Commission’s positions, as they are able to present a topic from a more holistic perspective than Commissioners, who, in the past, often focussed on technical messages from their portfolio perspective. It was emphasised that the political rather than more technical language used today better corresponds to the MEP’s expectations. Furthermore, interviewees mentioned the more active SG role in the EP’s committees. Interviewees stated that while the SG used to have rather a note-taking role, the SG now often presents the Commission’s position in its function as chef de file, or monitors whether the line DG’s communication fits with the priorities of the Commission President. A final argument was that the coordination in project teams has led to a trend towards proposing legislative packages, covering items of several policy areas, making it difficult for the EP to unpack the package. It was argued that the EP struggles sometimes with the Commission’s package approach, because it obliges rapporteurs of different committees, and often, from different political parties, to write a common draft report, a practise to which they are not yet used to. In addition to the organisational reforms, a broad majority of the interviewees stressed that Juncker’s leadership vis-à-vis the member states had benefited from the new appointment process. The cooperation between Juncker, the then EP-President Martin Schulz and the Chairmen of EPP and S&D have been characterized as close as in a coalition government, thus increasing the common negotiation power of Commission and EP towards the member states. Interviewees stressed that the strong coordination with the EP contributed to the Commission’s courage to start initiatives which the Barroso Commission would not have dared to launch, such as for instance some features of the banking union which were against German interests. As an additional factor strengthening the main EP’s parties support for Juncker, interviewees mentioned the increased number of anti-European parliamentarians since the last election, making a grand coalition between EPP and S&D more important than ever. 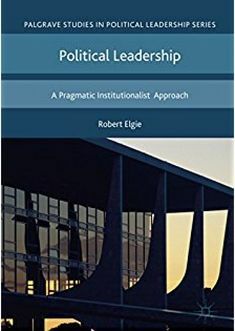 These findings contest the accounts which describe a decline in the Commission’s leadership capacity, and which emphasize a trend towards a ‘new intergovernmentalism’ (Bickerton et al., 2015). The evidence from the interviews rather suggests that Juncker has in fact further cemented the presidentialization of the Commission, and has successfully improved the Commission’s political leadership capacity in the dialogue with Council and EP. These findings resonate with previous accounts which challenge the ‘new intergovernmentalist’ view of a Commission in decline (Nugent and Rhinard, 2016; Peterson 2015, p. 207). Bickerton, C. J., Hodson, D. and Puetter, U. (eds) (2015) The New Intergovernmentalism (Oxford: Oxford University Press). European Commission (2014) ‘Communication from the President to the Commission, The Working Methods of the European Commission 2014-2019’, C(2014)9004, 11 November. Nugent, N. and Rhinard, M. (2016) ‘Is the European Commission Really in Decline?’ Journal of Common Market Studies, Vol. 54, No. 5, pp. 1199-1215. Peterson, J. (2015) ‘The Commission and the New Intergovernmentalism: Calm within the Storm’. In Bickerton, C. J. et al. (eds) The New Intergovernmentalism (Oxford: Oxford University Press), 185-207. This entry was posted in Europe, European Union and tagged European Union on November 6, 2017 by Robert Elgie.